Are original Victorian features your thing? Are you a fan of Minton-tiled floors, feature stained glass windows and statement period fireplaces? 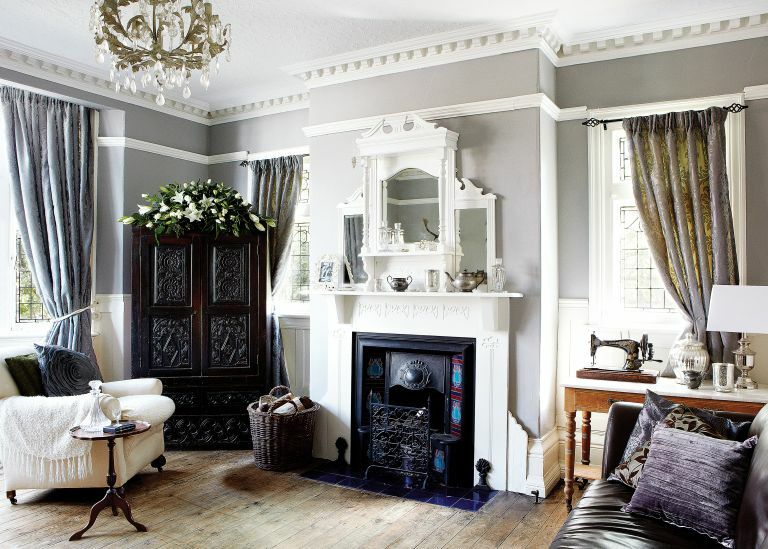 Whether you're looking for inspiration to start your own restoration project or simply like to get an idea of what's possible, you're sure to love this Victorian semi awash with gorgeous original architectural features. For even more inspiration, take a look at our real home transformations. Read our guide on renovating a house, too, for more guidance. Admiring and renovating period properties is in Maria Bradburn’s family: mothers, fathers, aunts, uncles, nieces… every new generation is as passionate about rescuing a piece of Britain’s heritage as the last. So when she and her husband Wayne bought this unusual old house she knew the person she’d be turning to first to help revive its many original features. ‘I couldn’t tell you everything my father’s done for me,’ says Maria. Indeed, the house Maria and Wayne bought six years ago looked very different from the sophisticated yet comfortable home it is today. Although its previous owners had restored some of the period features, it seems they’d lost their motivation and decided to give up on the project. Maria has added a few embellishments, however, although nothing out of keeping with the spirit of the house. In the hallway and front sitting room she fitted panelling up to dado height. However, one job Maria was very happy to hand over to the professionals was the kitchen revamp. Having finally saved up £15,000 a couple of years ago she commissioned tradesmen and a joinery company to create the space of her dreams. The table and chairs are from an antiques' shop and a chandelier bought on the high street complete the look in this comfortable but elegant room. The rest of the house has been furnished in the same budget-conscious way: Maria’s favourite shopping haunts are salvage fairs, reclamation yards, auction houses and charity shops, where she has found a plethora of chests, chairs and mirrors; she loves the idea of rescuing hidden treasure. And anything that’s looking a bit shabby is given a coat of paint. ‘I’m always covered in splashes of white or grey,’ she says. ‘This house is my hobby, but with two young children and household chores I do sometimes get distracted, so it will probably never be finished.